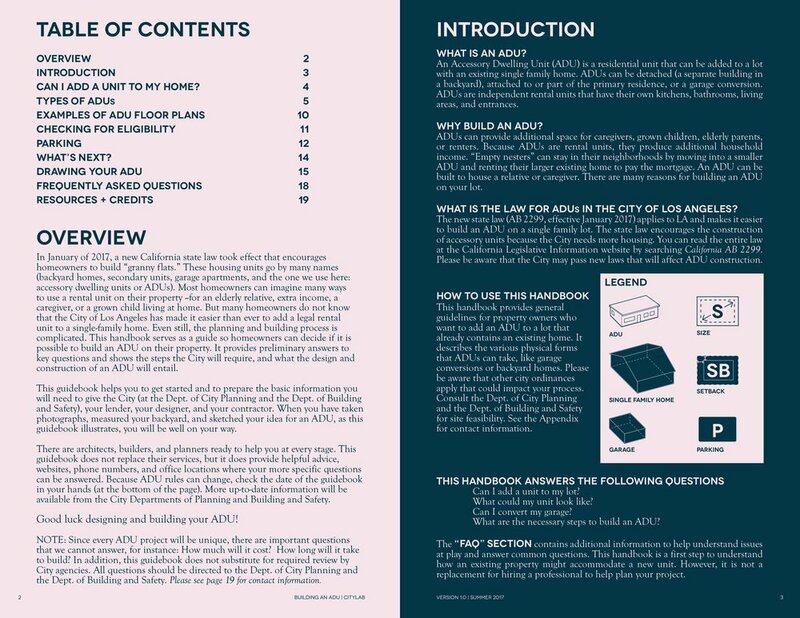 The ADU guidebook was produced in conjunction with AB2299, the land use bill that makes it much easier to build an accessory dwelling unit in the state of California. This guidebook helps you to get started and to prepare the basic information you will need to give the City (at the Dept. of City Planning and the Dept. of Building and Safety), your lender, your designer, and your contractor. 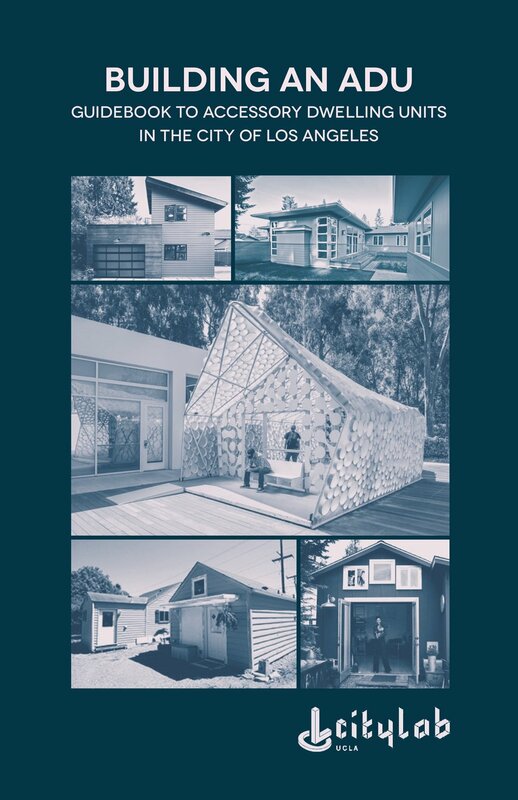 When you have taken photographs, measured your backyard, and sketched your idea for an ADU, as this guidebook illustrates, you will be well on your way. There are architects, builders, and planners ready to help you at every stage. This guidebook does not replace their services, but it does provide helpful advice, websites, phone numbers, and office locations where your more specific questions can be answered. Because ADU rules can change, check the date of the guidebook in your hands (at the bottom of the page). More up-to-date information will be available from the City Departments of Planning and Building and Safety. 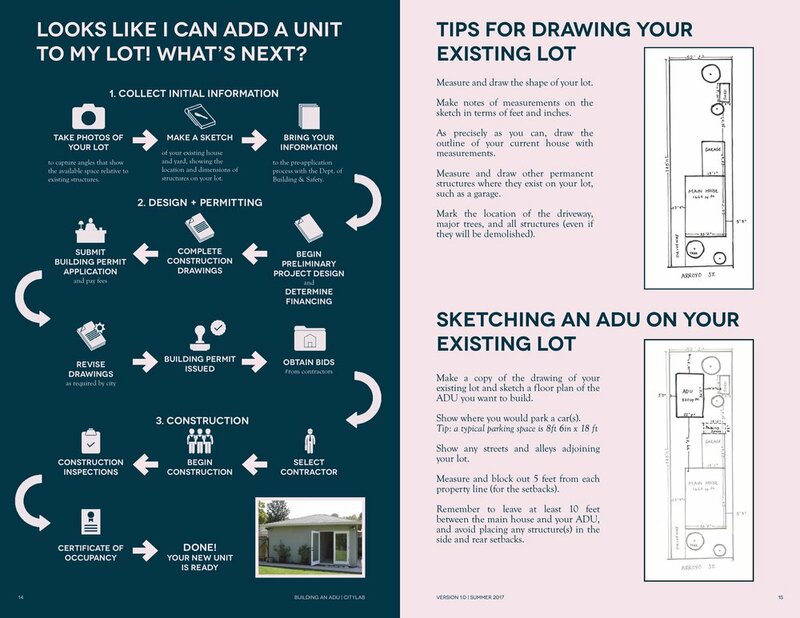 Good luck designing and building your ADU! NOTE: Since every ADU project will be unique, there are important questions that we cannot answer, for instance: How much will it cost? How long will it take to build? In addition, this guidebook does not substitute for required review by City agencies. All questions should be directed to the Dept. of City Planning and the Dept. of Building and Safety.